The Internet has made this the age of the instant political movement. Like-minded people (and even unlike-minded people) can find one another and quickly create a kind of critical mass. The hope, often the expectation, is that these new aggregations can bring positive change to the body politic. This includes seizing new opportunities for democratizing communication and communicating democracy, both of which are urgently needed. Former Member, New York State Committee of the Independence Party (73rd AD - Eastside Manhattan) and Former Member, New York City Independence Party Organizations - Manhattan Executive Committee and County Committee, representing the 73rd AD. 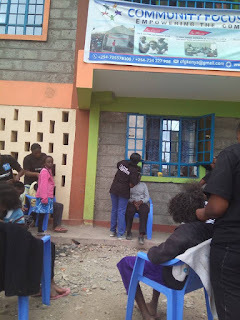 I am the U.S. Representative of a Nonprofit/Charity in Nairobi, Kenya. Community Focus Group (CFG)’s vision is to create a centre for teenage mothers that will support these young women in their new roles as mothers on the one hand, while at the same time help them to further develop their personalities, take control of their lives, and offer them a path to independence through finishing their education and professional training that will prepare them for a range of careers. We now have a new venture Living in Africa. 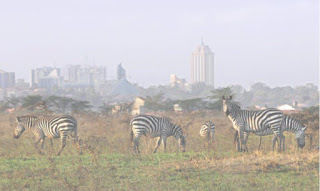 To visit and experience Africa, its People, Animals, and its Culture, then Nairobi, Kenya is the place for you. A 12-day package for $2,992 per person, includes living with a family or your own apartment, in Nairobi, with transportation from and to the airport, airfare not included. There is a down payment of $598.40 and a final payment of $2,393.60 20 days before the visit. 2019 Dates: May 1-12, June 2-13 & 15-26, July 15-26, August 1-12, 15-26, Sept 1-12, Nov 8-19, and Dec 6-18. There are activities for everyone to enjoy. Experience Kenyan cuisine, visit historical and cultural places with transportation and a tour guide. Comments are now reviewed before they are posted!